A grownup. Author of Theri There, a comic about otherkin. Theri There is my #comic about #otherkin. We didn’t reach the #Patreon goal for it after a long time, so I decided to just update Theri There whenever I feel like it. "an informal survey on how #gender is experienced by folks who identify with #alterhumanity, especially how it’s experienced in relation to alterhumanity. it features questions about #SpeciesDysphoria, #GenderDysphoria, and discourse related to the two topics. if you fall somewhere under the umbrella of &apos;alterhuman&apos; you are welcome to take this survey, whether you’re #trans or not." (Hashtags mine.) Emmett notes, "#alterhuman is being defined as an umbrella term that covers #fictionkin, #otherkin, #therians, and any #nonhuman identities in general" (again, hashtags mine. I&apos;m adding &apos;em since I want more folks to see this post, & that&apos;s the only way to make it searchable on Mastodon). 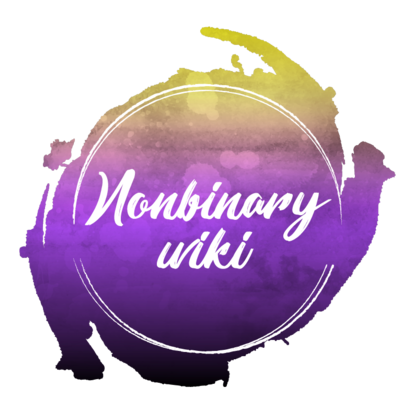 What are some historical events about #nonbinary gender that you think should be in this article, but aren&apos;t yet? When a creator on #Patreon has set their page to show how much income they make from it, how does that tend to affect what you choose to chip into it, as a patron? I&apos;m back from a 3-day total media fast that I used to shake off the thinking habits from the day job that I had just quit. @gunner Thanks for the follow request. Where do we know one another from? That neighborhood cat whose meow sounds like "hell-lo! hell-lo!" is meowing at our front door again. Whenever we go open the door, he says it again, & then he runs away. He&apos;s been doing this every few evenings for years. He hasn&apos;t accepted our invitations for him to move into the house, even though he&apos;s BFFs with our cat. Maybe he likes to keep his relationship with humans limited to these pranks. AU where everybody thinks the opposite of a cat is a pig. Patreon is unsustainable on a 5% rake. It cannot exist unless they raise the average fee. https://www.fastcompany.com/90295558/patreon-is-on-track-to-reach-1-billion-in-total-payments-to-creators includes an estimate that Patreon will clear $500MM this year. That means they have to run off $25MM. A mid-career software engineer in California costs about $200K in direct compensation. Benefits and overhead are usually estimated at equal to comp, so a SWE costs $400K. Patreon can pay for approximately 60 SWEs with their money assuming they pay for literally nothing else. Patreon cannot live on SWEs alone. It is a content distributor, so it incurs substantial server costs and ops costs. Ops engineers cost the same as software engineers. Patreon also has customer service staff, including Trust & Safety, attempting to deal with social issues across the entire platform. Add the cost of office staff, administrative staff, executive staff, and the many assorted other professionals required to run a modern, Internet-centric business ready to respond to a world that demands rapid answers for everything. I don’t have estimates for these costs. I do know that while SWE and ops engineer staff costs scale sublinearly with service cost, customer service costs and server+bandwidth costs scale *at least linearly* with use, and diseconomies of scale (more staff requires more management, so salary growth is at least O(n lg n) instead of O(n), disregarding how employee pay expectations tend to increase as a company ages and individual staff can gain increasing seniority) suggest these costs are super linear. Patreon is not a 20-SWE project. Since they allow adult content, they have to do an awful lot of reinventing the wheel on payment processor stuff; entire companies with hundreds of engineers do that work alone, and they are also a content distribution and content feed platform. Is it a 60-SWE project? Maybe, except then they can’t pay for any computers or any customer service staff or any managers or any Internet bandwidth. As they grow, SWE costs don’t increase as much as income can, but what about their per user costs - servers, bandwidth, and the statistically guaranteed increase in problems Trust & Safety must cover? Those are linear and superlinear. If there’s a sweet spot where Patreon so much as breaks even, it’s a small one. Patreon is essentially increasing their fees to 8% and trying to pretend users get something for it. No, this is not a better deal for creators compared to today, but it’s probably a better deal for creators compared to Patreon not existing, and I’m pretty sure that’s the alternative. I’m surprised they think they can do it at 8%. I&apos;m happy to keep presences on two instances, in case one host or the other has some downtime, but I&apos;m still undecided about whether dragon.style or weirder.earth should be my main Mastodon instance. They both have so much I like. + A dragon theme? Heck yes. I was born for this. Saying "rar" as you push the rar button is so good. + Long toots (7777 max characters) feel more natural and sociable, like Livejournal. I don&apos;t have to overthink how to toot shorter. + It has my favorite local timeline of any of the instances I&apos;ve used. + Huge collection of Mutant Standard and other custom emoji! It means a lot to me to be able to do a thumbs-up in green. Sometimes, that&apos;s all I need. Hmm. Both so good. I&apos;m still deciding. The list of neutral names starting with A has been revamped! Now, almost all of them include a reference and meaning! I&apos;d like to see a D&D game based on Fraggle Rock. The Rock is full of potential for interdimensional exploration and entertaining peril, so it&apos;s an ideal D&D setting. Thing is, the Rock&apos;s ecosystem depends on music, the way ours depends on sunlight. All Fraggle player classes would be bard, but different kinds of bard. At higher levels, you get bards like Convincing John, who are so persuasive that they have to live in exile/quarantine to protect society from their powers, or the Wandering Minstrels, who have profound insight into the workings of the universe because they&apos;re so good at listening properly. Correction: marijuana was already called Mary Jane before Mary Jane Rathbun&apos;s involvement with it. The herb is not nicknamed after her. That they share a name is just a remarkable coincidence. The coolest person I found out about this week is Mary Jane Rathbun (1922-1999), an anarchist who illegally made thousands of magic brownies to help AIDs patients in the 1980s, who she called "my kids." She did it on her modest Social Security income. When she was arrested and sentenced to 500 hours of community service, she spent it in just 60 days at organizations to help people with AIDs. Then she got right back to work on the magic brownies. The wikipedia article about her is amazing. I&apos;d always assumed "Mary Jane" was just a bowdlerization of the word "marijuana." The real story&apos;s so cool, it even makes me feel a bit better about looking grandparent-like someday. Turns out, "kindly grandma baking for sick kids" is a good look for activists. Reminder that my main instance is currently @frameacloud instead, so see you there! I&apos;m switching which Masto instance I use the most. For now, this will be my alt instance, & @frameacloud will be my main instance. Please follow me there, because I don&apos;t duplicate toots between these accounts. If you&apos;ve made a follow request before, & you didn&apos;t see it get accepted, please send a new follow request.